It seems that Bill Murray's latest role is even more wacky, as he takes center stage in an exhibition by Brit artist Brian Griffiths. In an interview with the Guardian Griffiths said: "I'm interested in his Murrayness. He is very good material." "Bill the global superstar, the guy-next-door, the anti-brand brand, the irrepressible Lothario, the lovable gruff, the wisecracker, the emotionally brittle, the lost man, the free-wheeling guy, the uncle you-never-had, the dignified clown, the droll philosopher and the hopeful." "I would call it a metaphysical adventure story with Bill. For me, Bill is an object in the show and an image in the show. He has to some extent become my leading man." 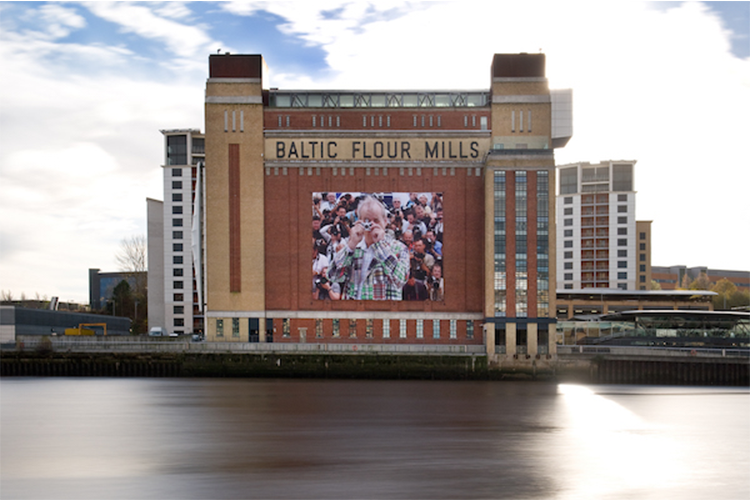 Not only are the models in the museum plastered with Murray's face, but a 20-meter-long banner with Murray's photograph on it also hangs from the exterior of the Baltic Centre for Contemporary Art. Brian Griffiths, "BILL MURRAY: a story of distance, size and sincerity" at BALTIC Centre for Contemporary Art, Gateshead, from November 20, 2015 – February 28, 2016.